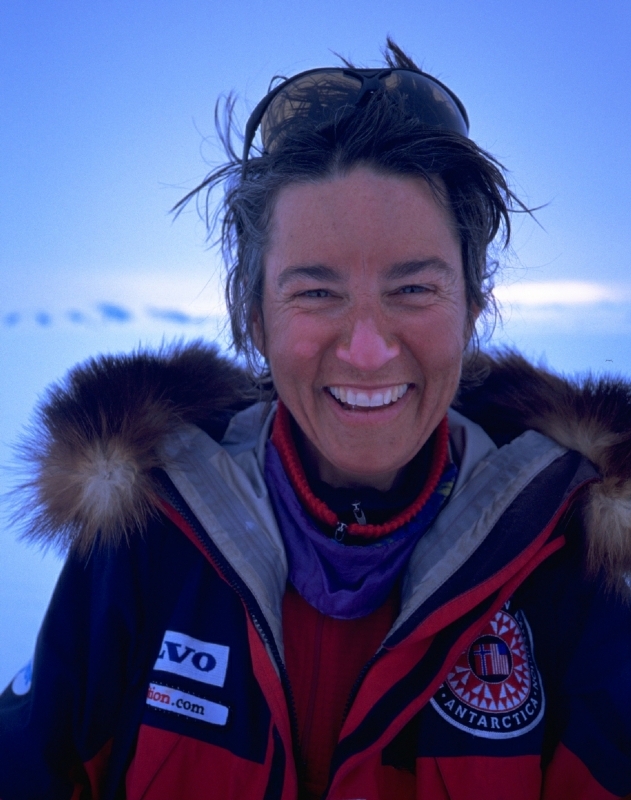 Ann Bancroft (born in St. Paul, Minnesota, U.S.) is a famous Explorer from USA, she is 63 years old and still alive, born September 29, 1955. Ann Bancroft is an American author, teacher and explorer. In 1986, she said her position as recreation and physical education teacher and joined the "Will Steger International North Pole Expedition." She arrived at the North Pole along with five companions after 1:56 day trip by dog team. This was Bancroft the first woman to reach the North Pole. In January 2009 she became the first woman to cross Greenland on skis. Bancroft has conducted several expeditions along with Liv Arnesen. Among other things, they became the first women to cross Antarctica in 2000-01, after a trip of 91 days and 2747 km. In 2007, Bancroft and Arnesen were planning to join the scientists on the Tara expedition after a crossing of the Arctic Ocean from Ward Hunt Island in Canada. But they had to cancel the expedition because of damaged equipment, extreme cold and frost damage. She is born under the zodiac libra, who is known for Balance, Justice, Truth, Beauty, Perfection. Our collection contains 16 quotes who is written / told by Ann. "To push behind the dog sled and run in front of the dog sled. That was always an interesting job"
"I do not think about being beautiful. What I devote most of my time to is being healthy"
"A life lesson for me is, how do you muster the courage to take on a new risk? Whether it's starting up a business or taking on a new project or expedition. I think the risks that we take are all relative to the risk-taker"
"I wanted to be a teacher, but I was a lousy student, one of the slowest readers. It was a tremendous struggle. But I'm lucky I had some teachers who saw something in me"
"I think we all strive to push ourselves, to overcome our struggles. And when we do, we get to know ourselves better"
"I had no doubts I could go to the pole. I may not be as strong, but I make up for physical strength in other areas, like steadiness and not panicking under stress"
"I get stubborn and dig in when people tell me I can't do something and I think I can. It goes back to my childhood when I had problems in school because I have a learning disability"
"This journey is not over. Our education initiatives have so much momentum, and we're committed to sharing even more stories from the Arctic when we return"
"The best way to get most husbands to do something is to suggest that perhaps they're too old to do it"
"Skydiving is something I've never done! And I am very excited to take the leap with a community of like-minded courageous women"
"I'm lucky I had some teachers who saw something in me"
"Getting through high school and college was one of my greatest achievements"
"For me, the greatest obstacles are never on the ice itself. That's the area I excel in. That's where my passion is. I think we all strive to push ourselves, to overcome our struggles. And when we do, we get to know ourselves better"
"For me, exploration is about that journey to the interior, into your own heart. I'm always wondering, how will I act at my moment of truth? Will I rise up and do what's right, even if every fiber of my being is telling me otherwise?" "Film critics said I gave a voice to the fear we all have: that we'll reach a certain point in our lives, look around and realize that all the things we said we'd do and become will never come to be - and that we're ordinary"
"And then there's also this element of - some people would describe it as spirits or a presence that appears when things are very difficult, physically and emotionally. You know, when you're really putting out. So the third man aura is sort of an appearance. It's the yeti"